SCOPE is a partnership between the University of Washington’s Department of Global Health, the University of Gondar College of Medicine and Health Sciences, and faith-based organizations in the United States and Ethiopia. This partnership between university-based medicine and the religious community builds on the strengths of both, using the broad and influential reach of the faith community to expand understanding of and access to modern medical diagnostics and treatment. The University of Washington Department of Global Health is a founding partner of SCOPE and a major implementing partner for the SCOPE fellowship program that supports UW graduate student learning experiences in Gondar, Ethiopia. Faculty and staff from the Department of Global Health lend their expertise on SCOPE’s Scientific Advisory Board and consult on SCOPE’s research and fellowship activities. The University of Gondar (UoG) is a founding and implementing partner for the SCOPE program. The University’s College of Medicine and Health Sciences and Institute of Public Health are instrumental to SCOPE’s fellowship program and its community service and research activities led and supported by academic faculty and staff in the North Gondar Zone. Senior faculty and staff provide mentorship for SCOPE fellows and lead a Steering Committee comprised of community members who help direct SCOPE programming and implementation. University Presbyterian Church (UPC) is a founding partner of SCOPE. UPC is located one block north of the University of Washington and is the church home of many faculty, staff and students. Supporting and engaging the pursuit of truth at the University and ministering to the whole person have been key parts of UPC’s mission for over 100 years. Global WACh makes scientific discoveries, cultivates leaders, and bridges disciplines to advance the tightly connected health and well being of women, adolescents, and children. Global WACh brings together experts across the University of Washington in the fields of pediatrics, obstetrics and gynecology, global health, bioengineering and more. The Center utilizes a lifecycle perspective that leverages critical windows for health interventions that have lifelong benefits. St. Joseph's Church is the Jesuit Parish in Seattle. It is located on Capitol Hill at 19th and Aloha and brings together parishioners from all over the greater Seattle area, as well as from the Seattle University community. For over 100 years, St. Joseph's has lived out its mission to love and to serve. 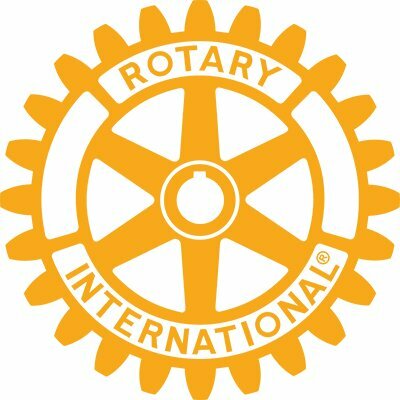 Rotary International is a global service organization aimed to bring together business and professional leaders to provide humanitarian service, encourage high ethical standards, and to foster goodwill and peace around the world. For the past 100 years, the Rotary Club of Seattle has follow this mission by resolving critical community needs by creating strong relationships and contributing to local, regional, national, and international causes. USAID is a federal agency that manages U.S. foreign assistance to nations engaging in democratic reforms, recovering from disaster, and trying to escape from poverty. USAID works in over 100 countries and partners with indigenous groups, universities, faith-based organizations, foreign governments (and more) to help countries need. The National Academy of Sciences (NAS) is a private, nonprofit organization of scholars. The NAS is charged with providing independent, objective advice to the nation on matters related to science and technology. The NAS is committed to furthering science in the United States, and its members actively contribute to the international scientific community.